IU, the queen of k-pop, is creating a sensation in the k-pop world again. 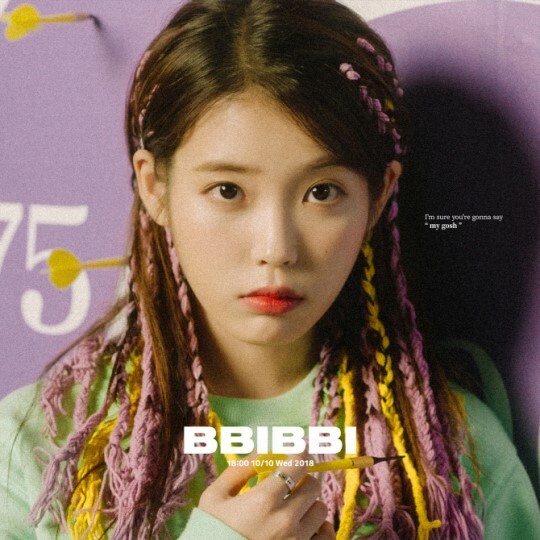 "BBIBBI", the female k-pop star's new single that was released on October 10, 2018 to commemorate her 10th anniversary, has been listened to by a total of 1,420,000 users on Melon for the first 25 hours, which is a new record. The previous record was 1,400,000, which was also set by IU when she released "Leon" with comedian Park Myung Soo in 2015. That's not all. "BBIBBI" crossed the 1 million mark in only 16 hours, and it is also a new record. You may think it's a matter of course because IU is the most popular and influential star who has long been loved by so many people. However, it's never easy to set such a record on Melon, the biggest music site in Korea. For example, BTS and EXO are enjoying huge popularity among teenage fans these days, but they've not achieved as much as IU has on Melon. Do you know why? Melon is a music platform that is used by music listeners of all ages. It's not just used by teenage music fans. So, to set a milestone there, one should be loved by people of all ages. I don't wish to diminish the popularity of famous idol groups such as BTS and EXO, but it can't be said they're singers who are loved by people of all ages in Korea. They're famous, of course, and Korean people in their 30s and 40s know them, but the old fans do not actually enjoy listening to their songs. But, yeah, IU is a singer who is loved by people of all ages in Korea. She's pretty, but she's not just a pretty face. She's a great musician too, and through her remarkable works, she sings about life, love and people. As a great singer songwriter, she has not only technique but also depth, and her music appeals to listeners' senses and emotions. There might have been female k-pop idols who are as pretty as IU. And there might have been female k-pop singer songwriters who are as talented as IU. However, there have been few female k-pop singers who are just like her. She's just perfect in every way, and that's why people in the k-pop industry say she's one of a kind. And because of this, people of all ages in Korea love her and enjoy listening to her music.